cap is up to 8 cm broad, cream-orange to brownish-red. 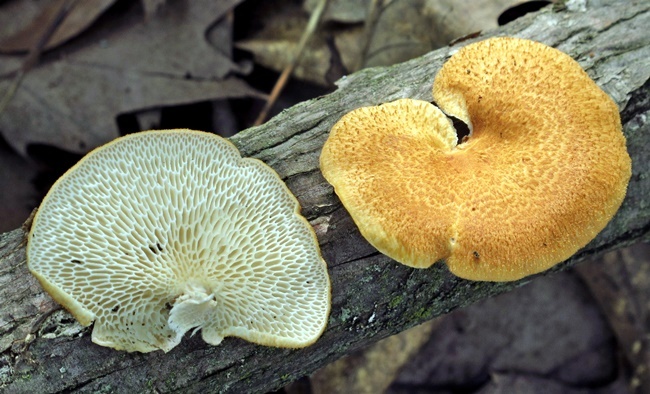 underside is whitish and has large, hexagonal, almost diamond shaped pores, each ~1 mm wide. grows singly or as several on hardwood branches and twigs. appears in summer or fall. taste and odor are mild; cook before eating, softer young specimens are preferred.